San Francisco — October 8, 2018 — Roadster, the leader in commerce solutions for car buying and leasing, today announced the rollout of its new Express Desking solution to help dealers bring even more trust and efficiency to the car buying process. Unlike other solutions in the marketplace, Roadster’s modern, consumer-centric Express Storefront solution will now give sales agents the ability to save time by being able to instantly message their desk managers, gain their approvals on deal terms, and customize payment menu options, without ever having to leave the customer’s side. For dealers, Express Desking is incredibly intuitive and easy to use. The solution, powered by Marketscan, the leading provider of data and calculations for the automotive industry, integrates directly into a dealership’s branded Express Storefront. Once a customer is ready to discuss deal-terms, the solution enables sales agents to work side-by-side with their customer to review dozens of lease and finance options and build a deal that works for them. This includes being able to calculate dozens of custom payment menu options with standard and non-standard terms, and communicate those terms in real-time with sales managers via instant message. While maintaining control and visibility over all deal activity, sales managers can then review the deal terms, remotely unlock codes, override the deal and or give agents their approvals. This in turn frees up desk managers to focus on higher value tasks like coaching their sales teams, while giving sales agents the ability to build a direct relationship with their customer. But the benefits don’t stop there. Express Desking also helps speed up the sales process by giving sales agents the ability to draft a consistent first pencil, without having to start from scratch with every new adjustment. In addition, Express Desking empowers sales teams to give their customers more options to secure financing with OEM-sponsored lenders and or independent banking institutions. It lets consumers save, compare and conveniently share deal options with others via text and email to ensure they are comfortable with the options presented. Roadster will begin rolling out its Express Desking solution to dealers in October. For more information on how to sign up, please visit www.Roadster.com. Roadster provides consumer-driven Commerce Solutions for today’s modern dealership. With Roadster’s proprietary technology platform, dealerships can provide hassle-free car buying in-store, online or on the go. Roadster dramatically improves dealership customer satisfaction scores, while significantly reducing sales costs. From inventory merchandising, to financing/leasing, incentives, trade-ins, service plans and accessories– Roadster delivers near penny perfect deals in a beautifully designed interface that customers and employees will love. 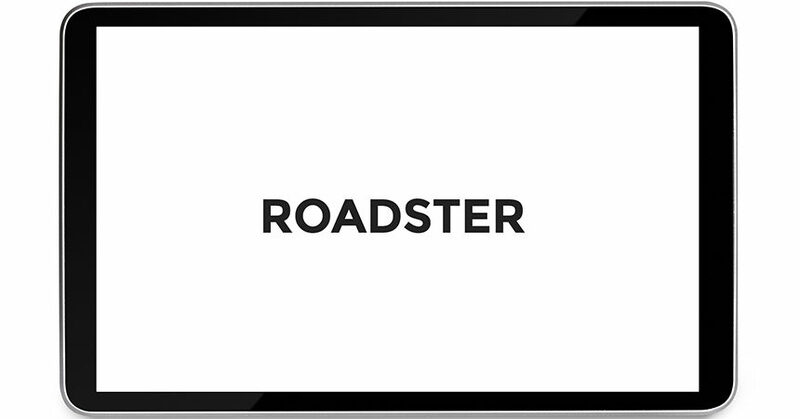 Roadster is based in Palo Alto, CA and was founded in late 2013. For more information, please visit https://roadster.com.